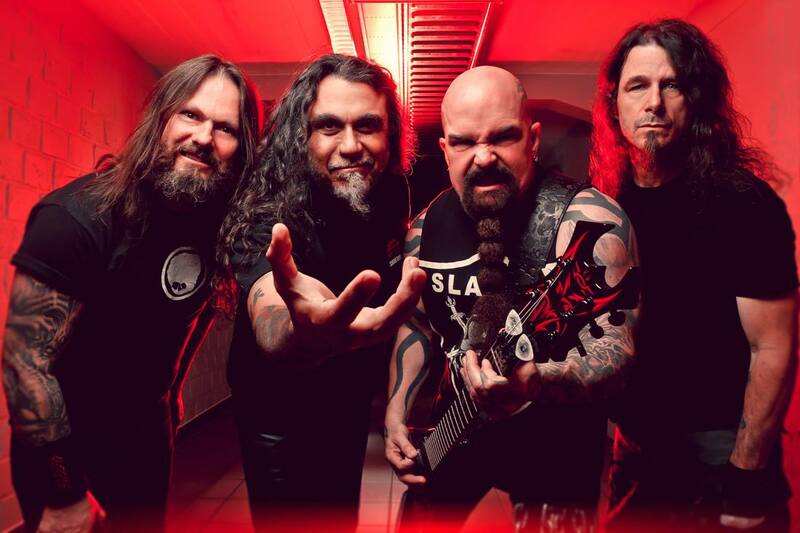 The thrash metal band, Slayer, has announced the first leg of tour dates for their North American tour, for February and March. They will be touring in support of their 12th studio album, Repentless. 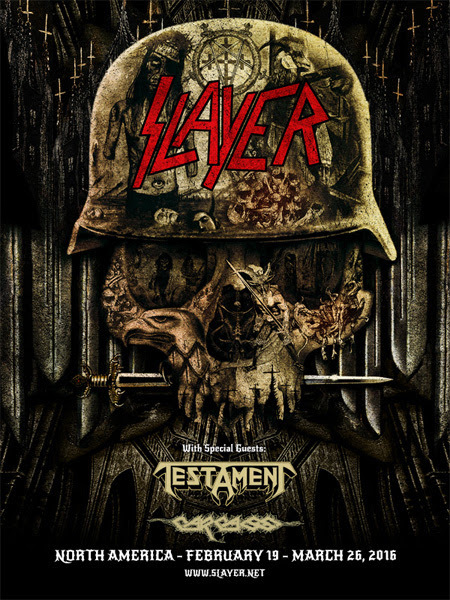 Testament and Carcass will be joining the tour, as support. You can check out the dates, details and poster, after the break.